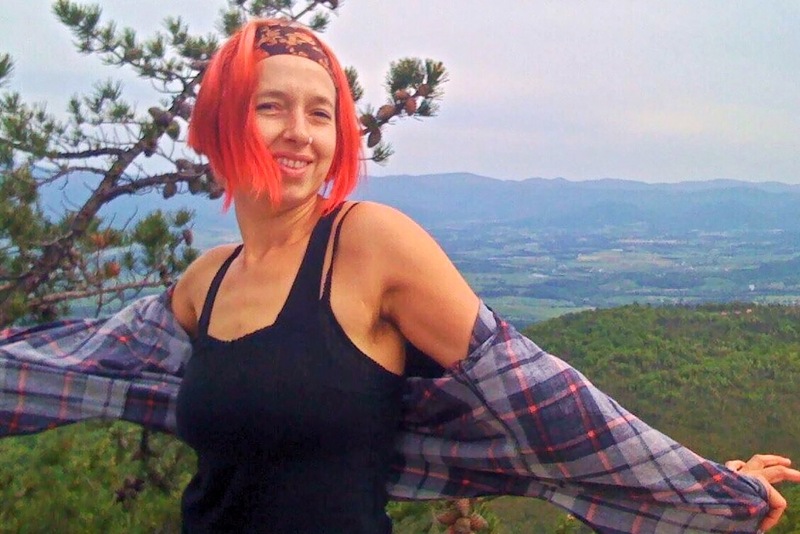 I’m a plant-powered artist and adventurer in love with mountains and wild places. My favorite adventures are by foot, rope, and bicycle; they push the boundaries of my fears, and draw me closer to my primal animal roots in this big beautiful world. Over the years I have shifted to a minimalist approach. On my adventures I travel light, partially inspired by my broken back, but also by the philosophy of “take less do more”. Traveling light has impressed upon me how little I really need. *Bikepacking from Arizona to Argentina. Senterio Delle Orobie Occidentali through the Bergamo Alps – Italy 2015. Continental Divide Trail – 2014. Pacific Crest Trail – 2012. Pacific Crest Trail – 2011 (500 mile section). Pico Fraile, Nevado de Toluca, Mexico – 2018. Sierra de la Laguna highpoint, Baja California Sur, Mexico – 2018. Picacho del Diablo, Baja California Norte, Mexico – 2017. New Mexico County Highpoints (complete). U.S. State Highpoints (49 of 50). Moby Grape, Canon Cliffs, New Hampshire, 2008. Whitney Gilman, Cannon Cliffs, New Hampshire, 2007. Mount Stuart, Washington 2009 & 2013. Prusik Peak, Enchantments, Washington, 2007. Matthes Crest – California, 2006 & 2009. Cathedral Peak & Eichorn’s Pinnacle, California, 2009. Mt Washington, New Hampshire, multiple winter ascents, 2005-2011. …lots of trails around Moab, Gooseberry Mesa, Sedona, and southern Arizona …though long multi-day adventures are my favorite. Baja Divide, Baja California, Mexico 2017. El Camino del Diablo, Arizona 2017. George S. Michelson Trail (bicycle), South Dakota 2008. Chesapeake and Ohio Canal, Maryland 2007. You can follow stories of my adventures here on my blog (link in Menu), or sign up, at the bottom of this page, to receive new blog posts in your email inbox (don’t forget to check your inbox to confirm your subscription). You can also follow short updates and photos of my adventures on Instagram and other social media (links at the top of this page). Luna Sandals for keeping my feet happy. Roadrunner Bags for helping me dial in my bike bags. Great nutrition, and the best socks ever, kept me going strong on my 2014 Continental Divide Trail thru-hike.